KJ Poultry, the largest kosher poultry producer in New York, is not only known for producing some of the tastiest quality poultry products out of their large plant in the Hudson Valley, but also known for its high standard Kosher certifications and is under the constant supervision of a handful of certifying agencies. "As of now, KJ Poultry will also be known for their amazing charity work", said Alexander Rapaport, Executive Director of Masbia Soup Kitchen Network, "5,000 pounds of Kosher turkey right before the international "Kosherfest" and Thanksgiving to help us feed the needy is the most appropriate and timely donation ever. It's almost poetic." 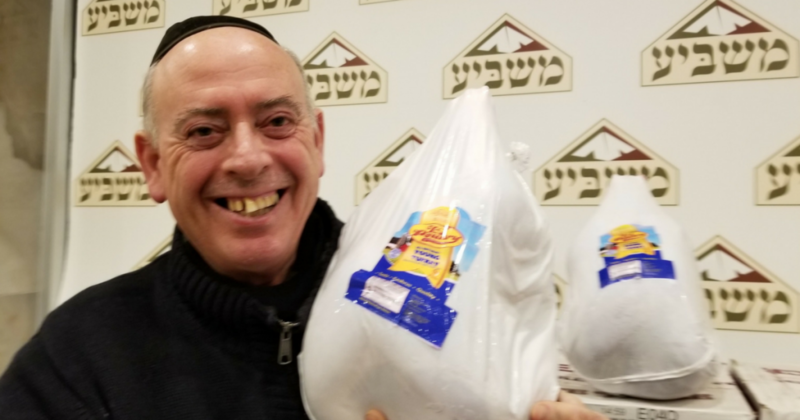 "With our plant in high gear to provide Kosher turkey products all over America, we felt it was the right thing to do to share some of it with the needy," said Chaim Oberlander. He continued,"Some of our more recent focus was to make sure supermarkets don't have empty shelves in the beginning of the week by having full production on Sundays, and that is now being topped off by making sure that the Masbia Kosher Soup Kitchen Network doesn't have empty shelves, either." Masbia Soup Kitchen Network is the largest Kosher soup kitchen in America and serves more than two million meals a year to needy men, women, and children out of three locations in New York. You can help too. Join us in feeding the needing. Donate Here.